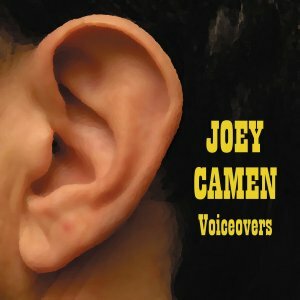 I hear you are looking for a versatile voice over performer for your current and upcoming projects. Listen! I've got a great one for you and he's at your disposal!! He's one of the best at what he does and extremely easy to work with. He'll bring your project in on time and on budget. He can return your ad copy in an audition in a high-quality MP3, WAV, or AIFF file within 24 hours notice from his home studio to anywhere in the world. He has access to an ISDN studio on very short notice. He can make ad copy sound better than its written. So here's the deal, I know you're busy and I appreciate you having a look and listen on Joey's website. If you'd like more information on his availability, or to get a quote or audition sent your way, click here to go to the Contact page. We look forward to assisting you in making your project the best it can be. Click here to view "Why Joey?" in PDF format.